Sift the TPT almond and the flour. Whisk the eggs and the egg whites. Press the mixture with the sugar. Mix the 2 mixtures, the egg whites and the eggs. Add the TPT and the flour. Incorporate gradually at the end the melted butter at 45°C. Bake at 240°C during 6 to 8 minutes. 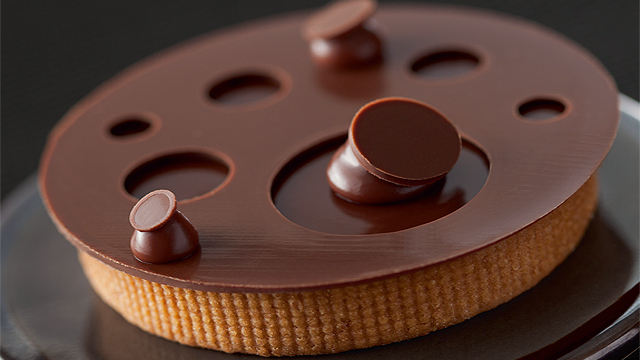 Weight of a layer : 600 g of biscuit. Boil the whole milk, the sugar and the vanilla pod. Blanch the egg yolks with the sugar. Pour milk on egg yolks. Boil by mixing with a whisk. Add the softened butter. Mix and add gradually the first mixture. 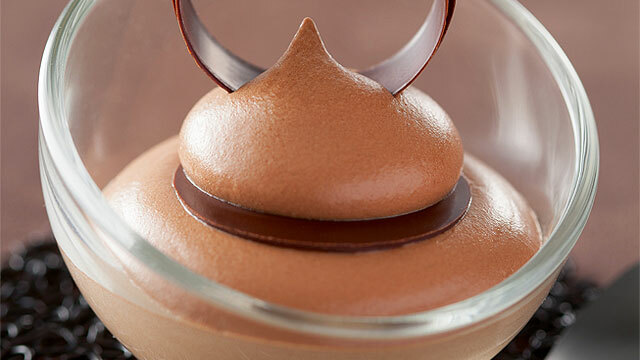 Incorporate the Italian meringue and add the natural coffee extract. Boil the whole milk with the cream. 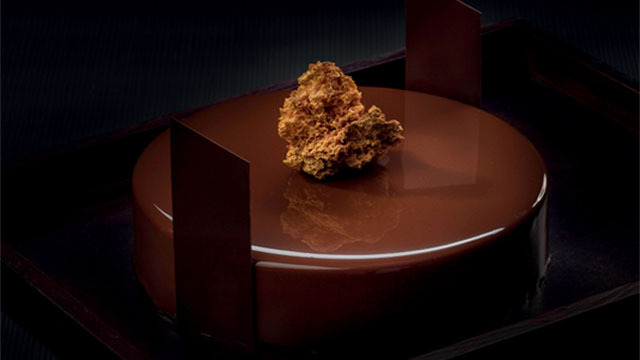 Pour on the Chocolat Amer 60%. Mix. At 30°c, add the softened butter. Mix the liquid coffee, the instant coffee and the syrup. Melt at 30°C the maïs oil, the Favorites Mi-Amer 58% and the Compound Coating Brune. Mix and put in a strainer the mixture. 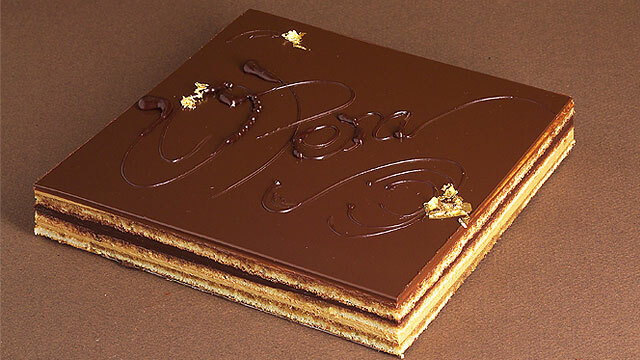 Before candy the opera cake, make sure to smooth the top of the cake with opera butter cream. 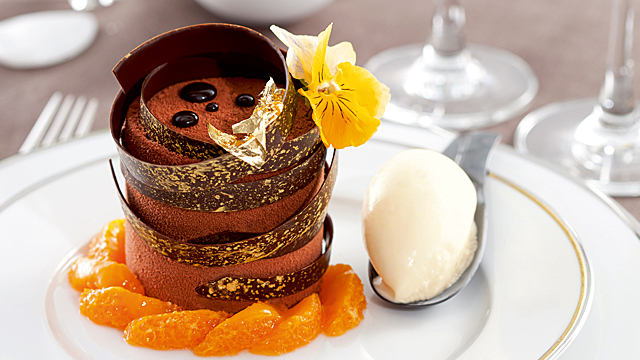 In order to have a shiny icing, use at 30°C the opera icing.